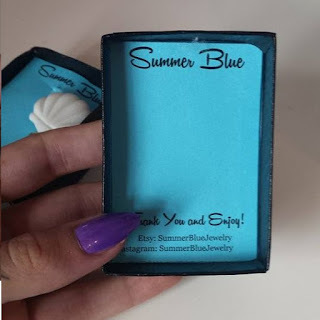 A while ago I came across Summer Blue Jewelry on Instagram and I just fell in love with pretty much every item! The thing I noticed first was Summer appeared to have a love for symmetry, as her wonderful necklaces just looked to laid out so perfect. Then I noticed the bold combinations of colours, the first item I saw was a Tiki necklace (which is in the photo below). This prompted me to send a message about custom colours, because my love of purple just consumes everything. Summer was so so helpful! She helped me pick colours that would work well together, took photos of different combinations together. 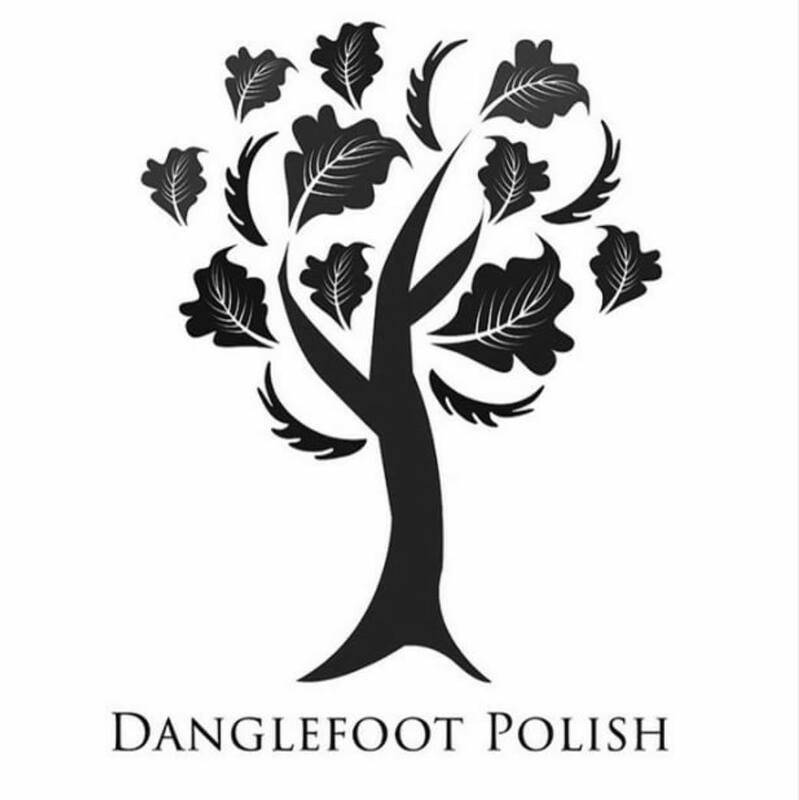 It was really great and felt like I had a part in making the item. 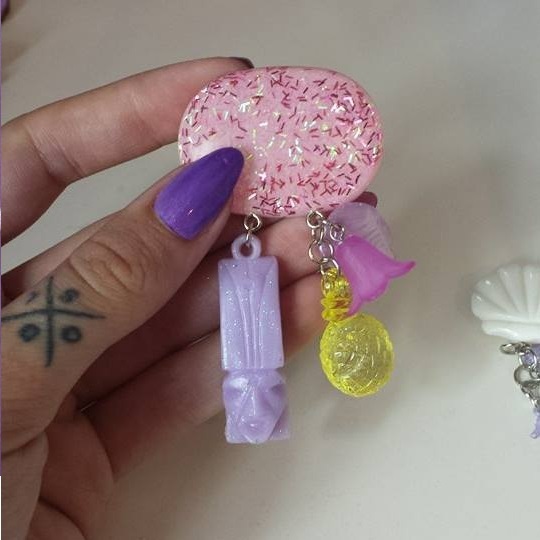 As I like wearing matching sets, I also asked for a brooch to match the necklaces. I really can't say enough positive things about how lovely and personal the service was and just how helpful Summer was when making decisions. Below are the two gorgeous sets I received. 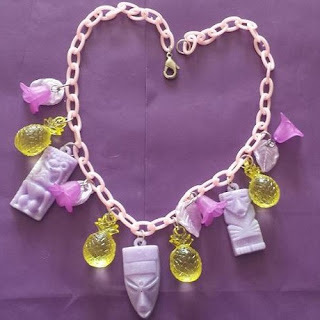 Tiki necklace in pinks and purples with yellow pineapples. 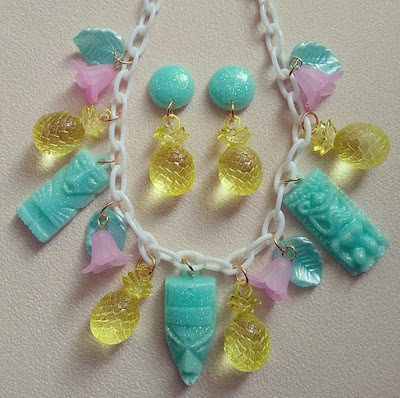 Rather than link to just one Tiki necklace, here is a link to all the lovely Tiki and Tropical items you can pick from. This was the next item I saw. 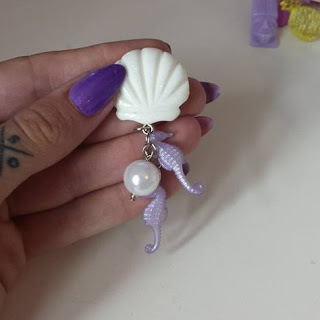 How cute are these little seahorses and clam shells. Summer does so many gorgeous pastel colours, which until I found these, I was struggling to find pastel jewelry. 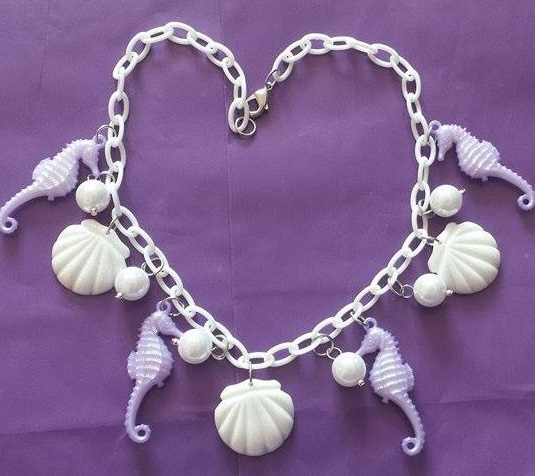 In the 'Beyond the Sea and Ocean' section there is such a great range of items in all the pastels you can imagine. The light purple colour is for sure a favourite of mine. My shopping basket list for this store is so big! The quality of the items is amazing, the clasps and findings are all top quality and I can be sure these are items that are going to last me a long time. They also come in their own gift box which is perfect for storing them in. The box above is for the brooch, they come with a soft lining to keep your lovely items protected. 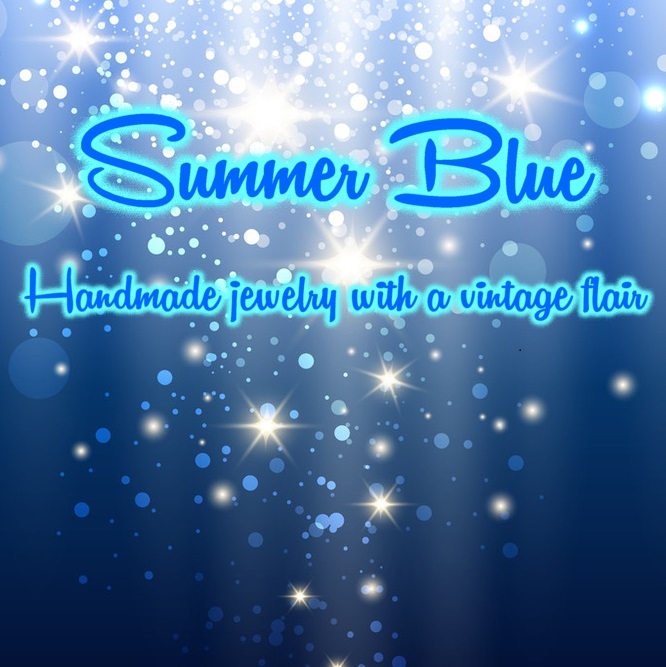 If you are quick, today 28/08/2015, you can 10% off your order with code 'BLUE10' just use this code in the check out on her Etsy store. 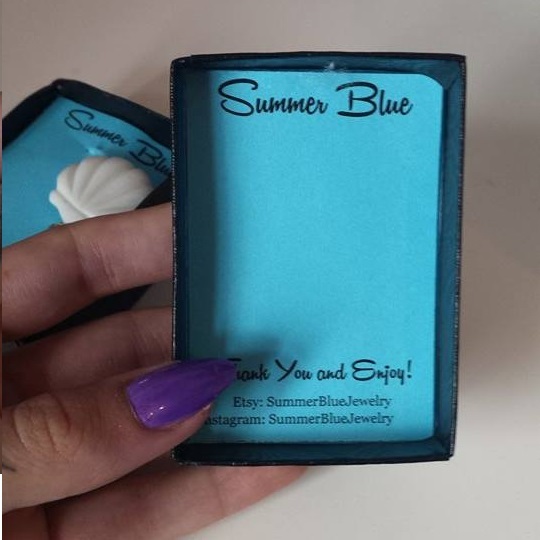 And if you are not already, you can follow Summer on Instagram and why not add her store to your favourites on Etsy. I am going to write next about all the awesome Halloween items you get once my order arrives.